I am in a transitional period with my home. 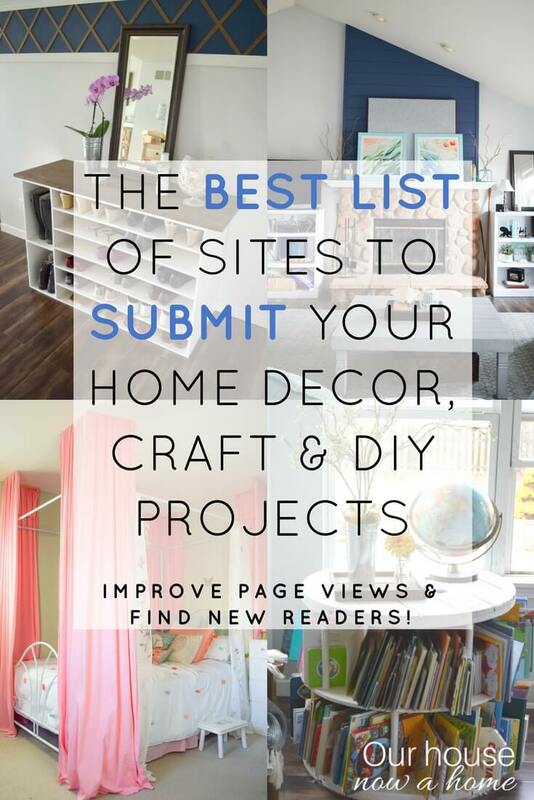 Because of this blog, as well as other writing opportunities I really need a designate office in my home. However, we do not have the space for that. So our master bedroom is having to do the job of being a dual functioning space. Maybe one day we can move into a larger home with a massive office and craft space for me. For now, this is how it needs to function. I do not want a bedroom that feels like a office, so coming up with stealth solutions is key. 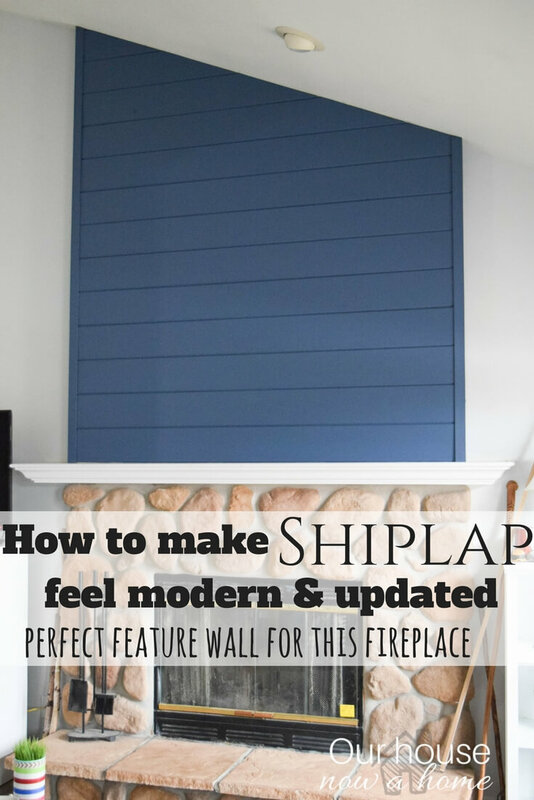 I will be sharing all of the details I am doing to revamp this space and make it work for me, in time. For now adding some storage was a must. I will be sharing tomorrow the big way I added storage. For now I am talking about these cute little baskets. Every fall we go to the same farm to pick apples. They give us these great baskets, which I of course kept because I am a hoarder with a big basement and a problem. It is OK, I have a home decor blog. That is my excuse and I am sticking to it. 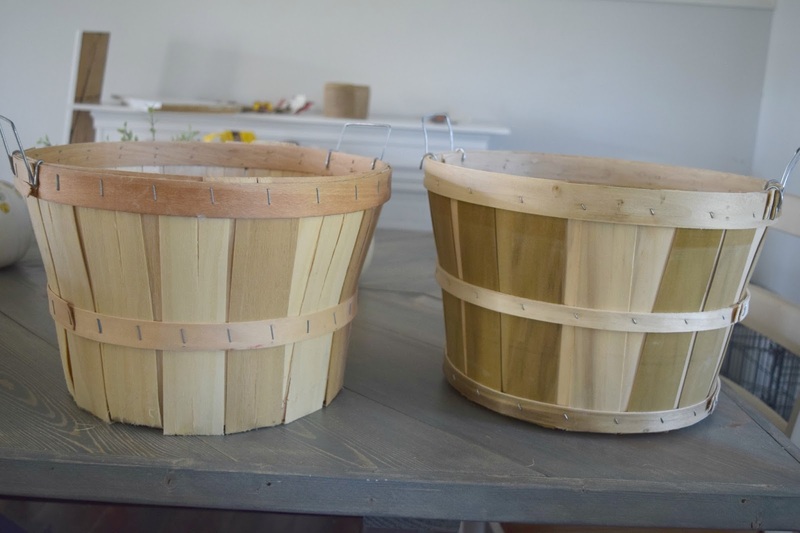 Anyways, these baskets are great, made well. I just wanted to make them a little cuter. When in doubt with wanting to make something cute, add polka dots. Sure way to bring the cute factor. 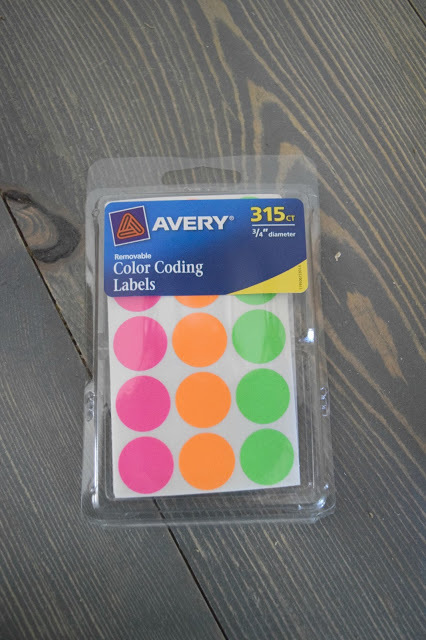 I had these standard circle labels. I put them on sporadically on both baskets. Pushing them down to make sure they are tight to the basket. 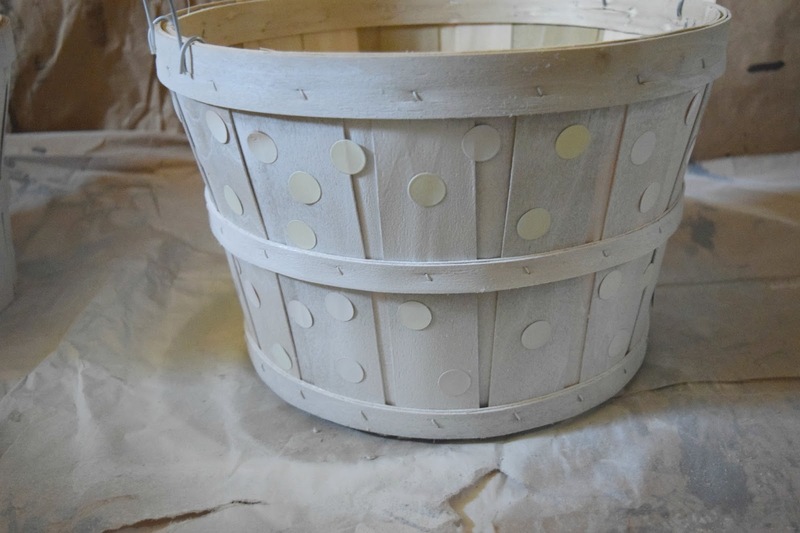 Then, spray paint the baskets. I used white. I only did one coat because it was not possible to get these fully covered. So a rustic look works best with these. Letting them dry and then peeling the labels off. 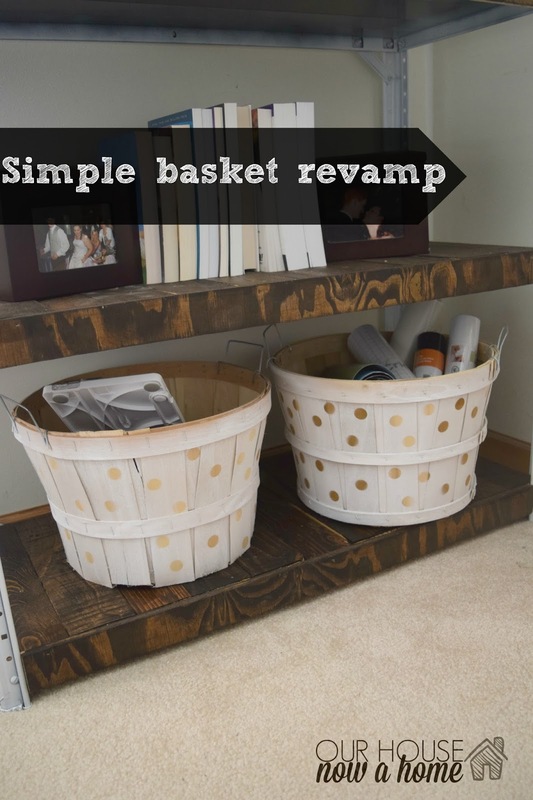 It was really that simple to revamp these baskets. 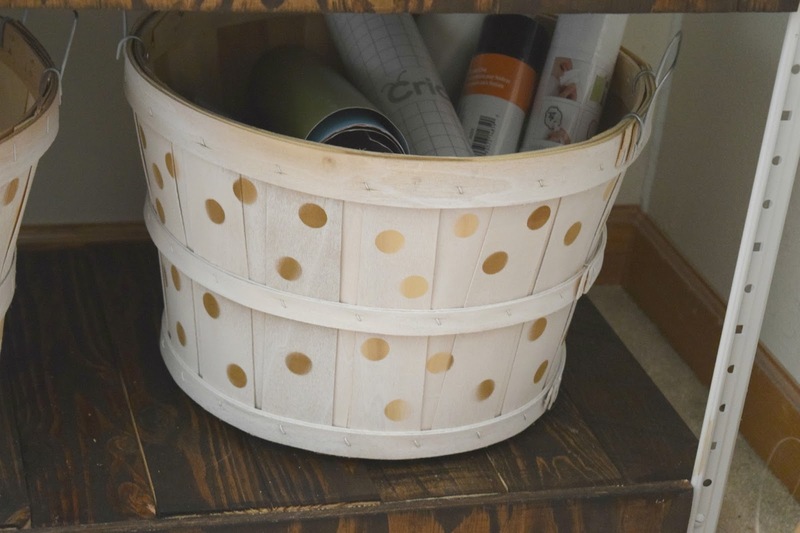 I have seen painted, lines and polka dots on baskets in home decor stores like crazy. These are rough baskets for sure. With the handled, which I may do something with in the future. 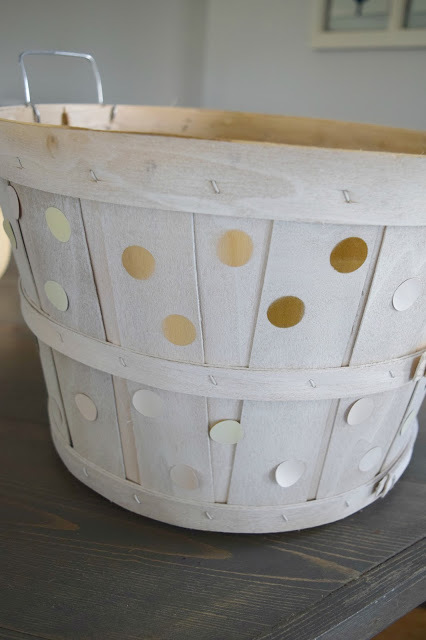 But the polka dots and white paint make these feel more done and perfect for a home. It also is perfect for me to put all of my Cricut gear in. My plan is to up the organization with this, which I will get to. 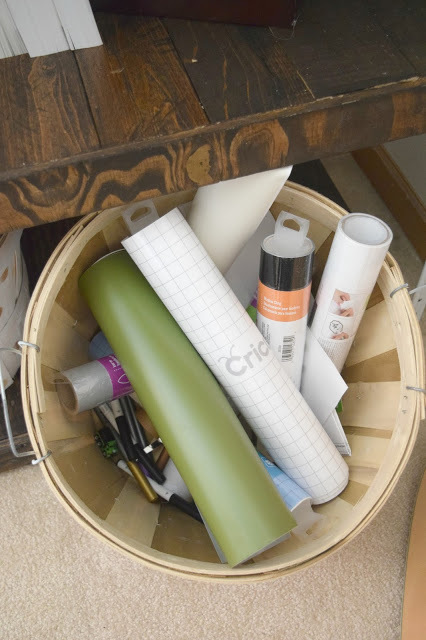 Adding storage to a home is always a plus. 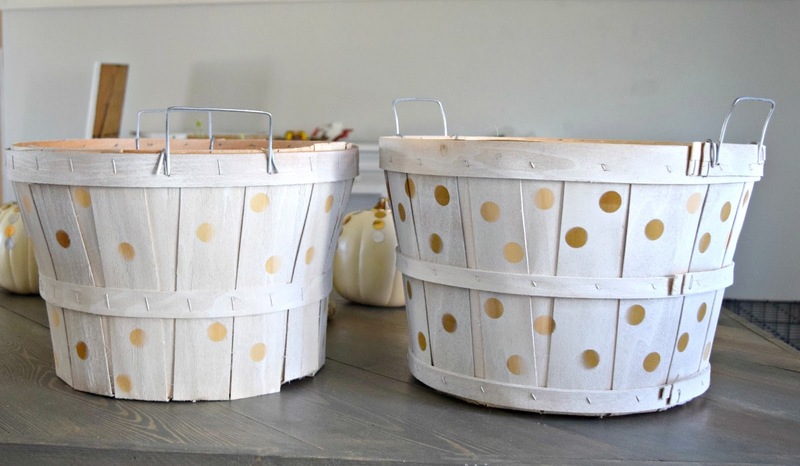 Baskets are a home’s best friend. It is a place to store stuff, organize or hide things. 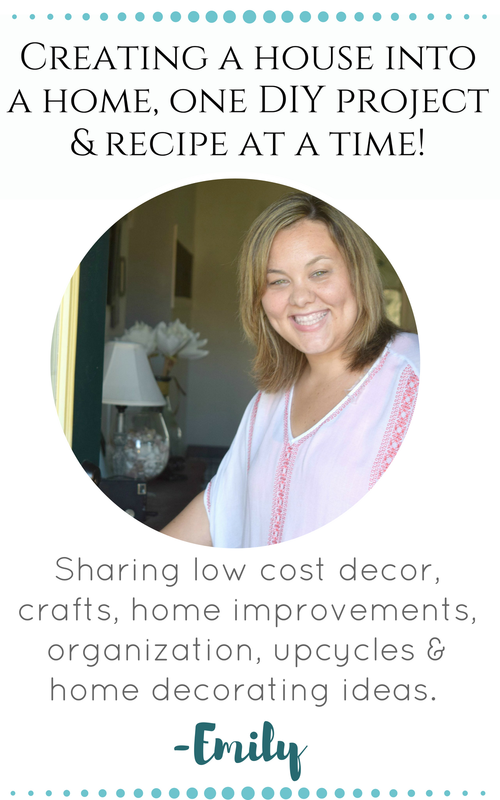 Finding a way to do this low cost, and maybe add a little cute to your home is a bonus. Like I said, when in doubt with how to bring the cute factor… polka dots… always polka dots! 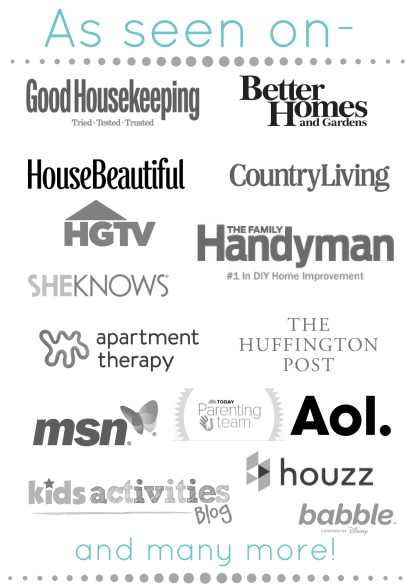 What are some sure solutions for adding storage for your home? These are so cute! 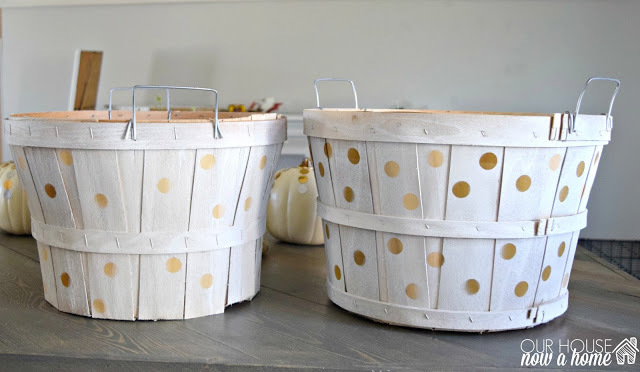 I love that they're rustic and I totally agree; anything with polka dots is cute! Thank you! I love the polka dots! Oh how fun, I love to redecorate. Have fun! Isn't it great when something so simple can be such a huge difference? Neat idea! What a neat idea!!! They are so cute!!! 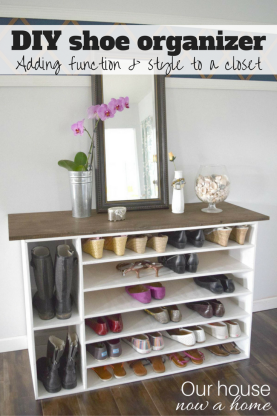 I love doing DIY projects for my house, especially when it helps with organization. I am right there with you, there can never be enough organization! Those are so cute! I love them and totally want to make something like them. I'm not sure where i'd put them but I have this fascination with baskets. LOL. I am the same way, I have never regretted having a basket in my home. 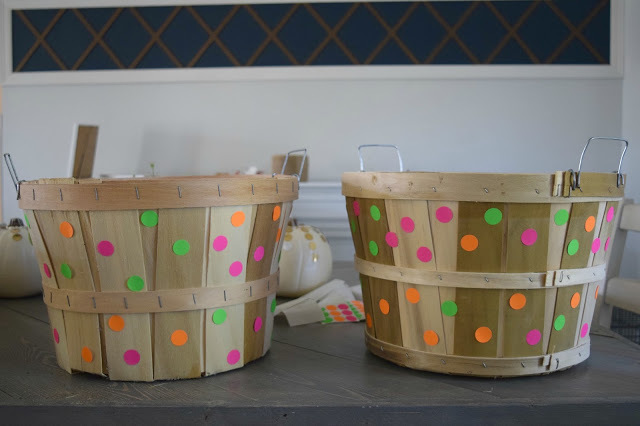 Baskets and bins always get used around here! I am a basket hoarder! Well, maybe not a hoarder but I love baskets. These past weekend, I bought 4 on sale, not to mention the other 5 I had in my cart then decided I probably did not need them. Yep, much to my hubby's dismay! I am surprised that the farm gave you those, though. We usually get plastic at the farms (LOL). But I love how cute they turned out and how simple they are to make. Hope they work well in your room! 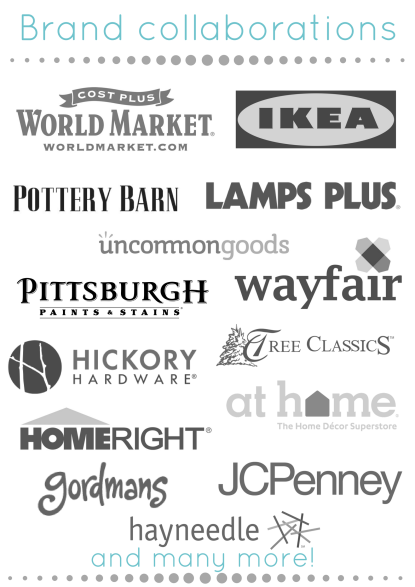 You will never regret buying baskets, ever! It is just the truth!